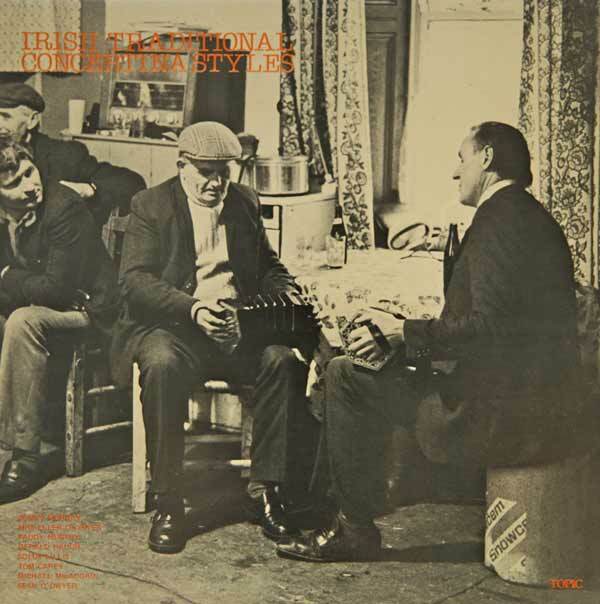 In this, the sixth Topic/Free Reed release, we present a sample of the playing of eight musicians from various parts of Ireland who play the Anglo concertina. Today, the richest store of traditional concertina playing is to be found in County Clare, and indeed five of these musicians live and work in that county. However, the instrumentâ€™s popularity has been more widespread and Mrs. Oâ€™Dwyer, who learnt to play in County Limerick as a young girl, tells of many players in that county. Also, the instrument is regaining popularity amongst the newer generation of musicians, and we feature on the recording items from two younger Dublin concertina players. This record, then, surveys the Irish traditional concertina styles that can be heard in and around County Clare today, and includes selections from younger musicians, as well as some of the finest traditional players of the concertina in Ireland.